I finally finished season 1 last night and now I’m ready to write the review for this awesome show. 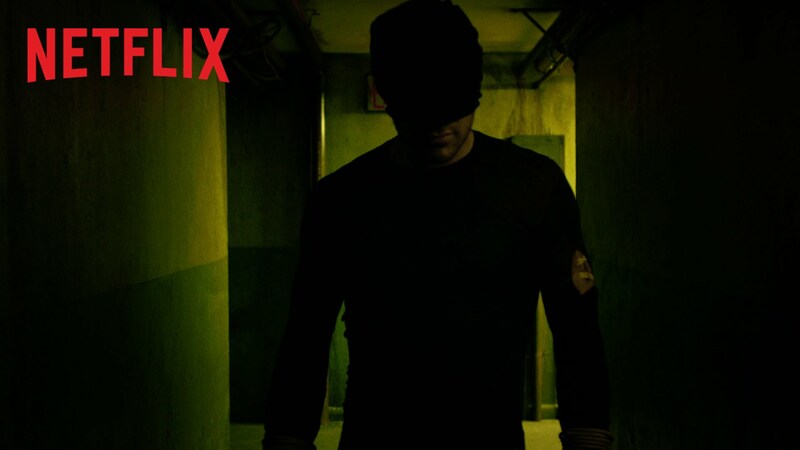 Daredevil was a dark, but fun superhero show that Marvel has produced. It reminds me of the CW’s Arrow because a mask vigilante is trying to save the city that he loves. From the beginning til the end, the show was very strong, performances were great, the writing was smart and unique, and the action scenes were realistic and intense. The show was beyond expectations. What makes this show so different from other superhero films and TV shows is that even though we know gods and aliens exist in their world it makes it feel like superheroes like Ironman, Thor, or even Captain America don’t really exist. It seemed like superheroes were less common, but more intriguing. I also believe that the suspense made it more exciting. The characters were very interesting. 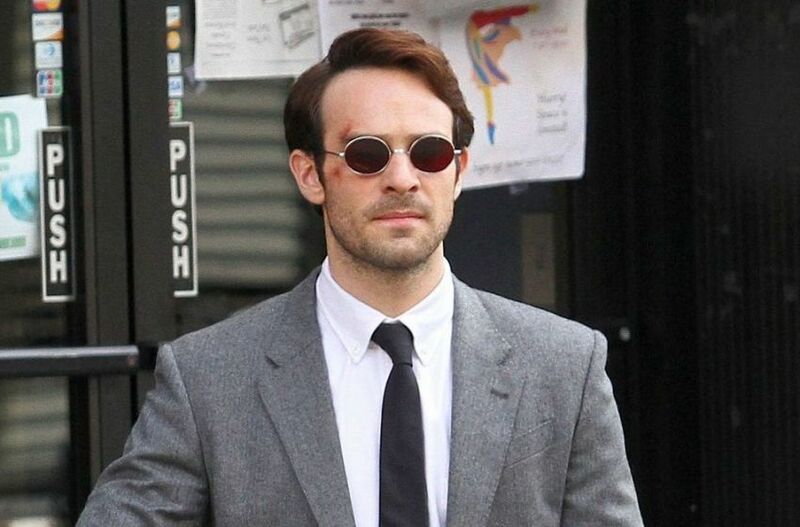 Charlie Cox’s Matt Murdock aka Daredevil was a character who handled things with care, but was willing to do anything to achieve his goals. He would torture, threaten to kill, and even put people in comas, but he would never take a life. Superheroes from the Marvel Cinematic Universe are violent, but not like him. 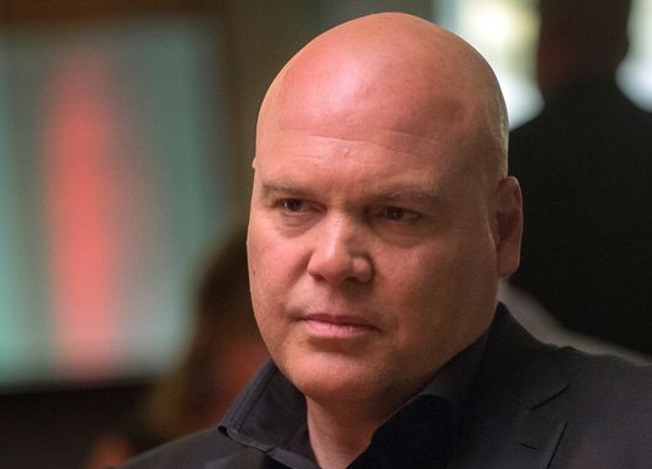 Vincent D’Onofrio’s Wilson Fisk aka Kingpin was definitely one of the best parts of the show. Fisk was a character that was a very vulnerable but dangerous man. He had a very dark and deep back story. He also had a love story. Even though he is the villain I didn’t hate him. I actually wanted to root for the guy. I feel like his character development was a lot more interesting than any other character in the show. Fisk was a really shy / awkward character and I believe that is what separated him from other mob bosses. The supporting cast were also great. Elden Henson’s Foggy Nelson played both the funny guy and the dramatic character while Deborah Ann Woll’s Karen was a strong character who wanted to fight back. We also get to see characters like Claire Temple aka Night Nurse played by Rosario Dawson and Ben Urich played by Vondie Curtis-Hall. Very important characters for the series. The fight scenes were awesome. It was probably the most realistic fight scenes I have seen. 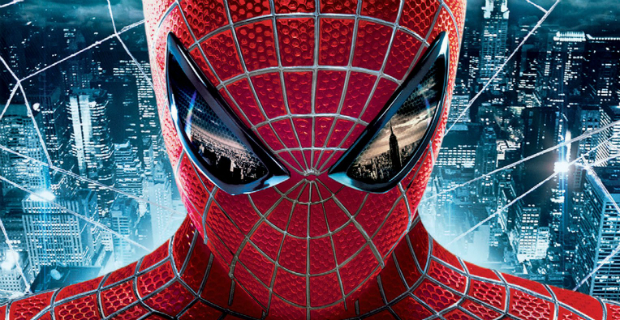 Even though there were some flipping and CGI effects involved I believe it was very well done. Usually, when you watch a superhero fight scene they are still going at it as if they were still full of energy. 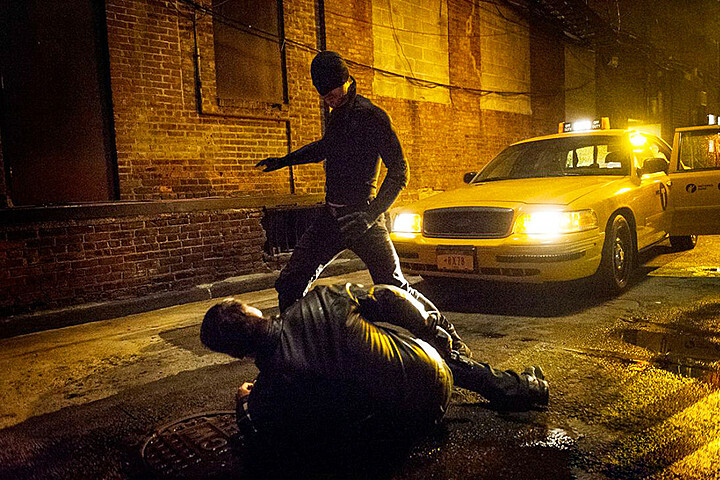 In Daredevil, you can tell that the characters are tired during the fight. What also made this show fun to watch were the Easter eggs. We get to see and hear lots of Avengers references. It just tells us that this show is in the same universe. Overall, the show started off very strong, but slowly started to break apart as it got towards the end, but the finale helped put things back together. The show was very thrilling and is a must watch. According to BleedingCool, ABC’s Agent Carter has a 75% chance of being renewed for a 2nd season. 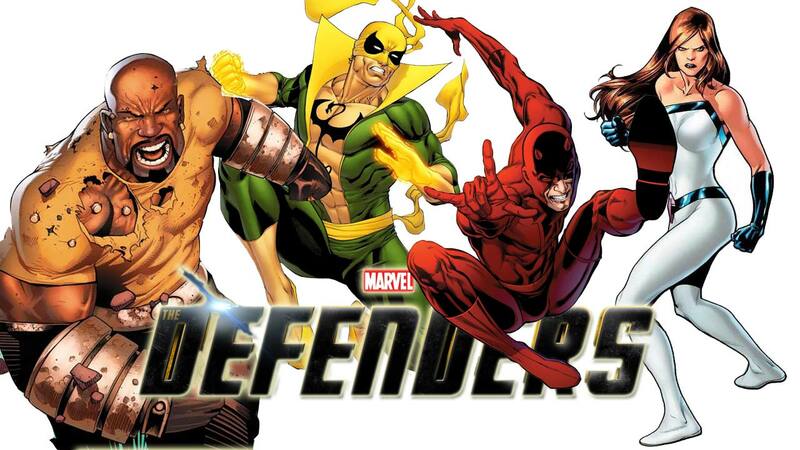 But, what’s more interesting is that their sources are telling them that Netflix’s Defenders (Daredevil, Luke Cage, Jessica Jones, and Iron Fist) could possibly appear in the upcoming Avengers Infinity War Part 2. It was not to long ago that Michelle MacLaren dropped out of being the director of the upcoming Wonder Woman film, but there are now rumors going on that Angelina Jolie is competing for the spot. Months ago, there were rumors going on that Jolie was also competing for Marvel’s Captain Marvel. Both companies can’t have her and need to make a decision soon. Wonder Woman is scheduled for 2017 while Captain Marvel in 2018. Do you think she would be a good director for any of these upcoming films? Ever since Spider-Man came aboard the Marvel Cinematic Universe, it was rumored that the the web crawler would still be in high school. Marvel’s Kevin Feige confirmed to the press during the Avengers: Age of Ultron tour that Peter Parker will indeed be a high school student in the upcoming Captain America: Civil War movie. When fans were first told that the Deadpool movie was going to be rated PG-13 we were all devastated. Deadpool needs to be rated R.
JoBlo Movie Trailers uploaded a video of Ryan Reynolds talking to Extra host Mario Lopez about the upcoming movie. We get to see the costume in action and an official announcement that the movie will be rated R.